Cash on Delivery is one of the most preferred payment methods in online shopping. The Cash on Delivery Payment Gateway available within WooCommerce has limited customization options. In this article, we have listed the Top 5 WooCommerce Cash on Delivery Plugins which has more customization options such as restrictions on order amount, restrictions based on zone area, collect an extra fee for the orders, etc. – You can allow COD Payment gateway only for users who have met the minimum requirement. – You can charge an extra fee if your users choose to Place an order using COD Payment Gateway. 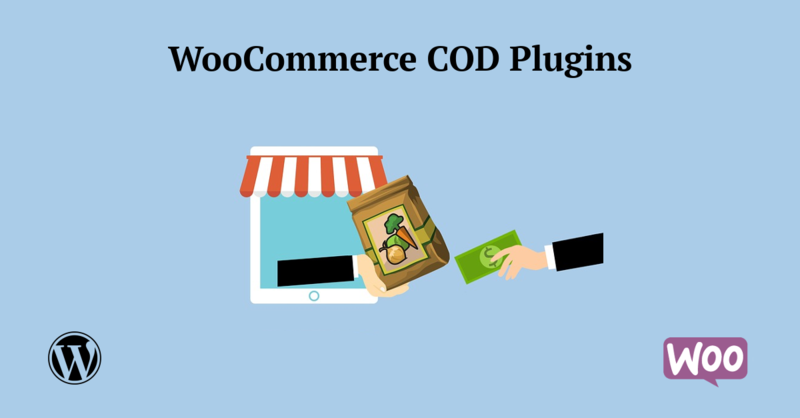 WooCommerce Smart COD is a free WooCommerce plugin. Using this plugin, you can set multiple extra fees and restrictions for Cash on Delivery method. Risk-Free Cash On Delivery (COD) – WooCommerce is a free WooCommerce plugin. Using this plugin, you can collect an advanced payment for orders and an extra fee to allow your customers to use the Cash on Delivery payment method. Woo Advance Check Shipping and COD Availability Using Pincode/Zipcode is a premium plugin developed by magerips. Using this plugin, you can allow your users to check whether the Cash On delivery option is available for the desired location. – It has the option to set custom delivery and cod message. Advanced cash on delivery and cash on pickup with fee / surcharge for WooCommerce is a premium plugin developed by idnovate. It allows you to set an extra fee for the cash on delivery payment method. Also, you can define multiple fee configurations based on multiple conditions. WooCommerce Cash On Pickup is a premium plugin developed by jeffrey-wp. Using this plugin you can create a payment gateway(Cash on Pickup) with the extra fee or discounts for WooCommerce store.